Of the unfortunate dwindling number of 1960s and ’70s New Orleans R&B recording artists, thankfully we still have Wallace Johnson to appreciate. He never had much more than a handful of neighborhood hits, but his small clutch of singles – and one great CD – were some of the best local R&B of the era. Johnson was born Oct. 8, 1937, in Napoleonville, La., 65 miles southwest of New Orleans on Bayou Lafourche. Johnson got married while in the service. After being discharged, he and his growing family moved to New Orleans, where he had several relatives. Still interested in music, Johnson enrolled at Houston’s School of Music under the G.I. Bill. He unsuccessfully auditioned for Dave Bartholomew at Imperial Records and later for Harold Battiste at Specialty. Battiste expressed interest, but Johnson was told Specialty was winding down its New Orleans activities. However, Batiste revealed he had another project in the works. Johnson debuted on AFO in 1962 with “Clap Your Hands” / “Peace of Mind.” It was a great release, but Johnson got caught in a record-business trick bag. AFO briefly had a national distrubutor, Sue Records, that helped catapult Barbara George’s “I Know” to the top of the charts. Sue and AFO had an bitter split – in a nutshell – over George’s contract and services. That meant Johnson’s single had only local distribution, which meant limited sales and promotion. Johnson began working weekends at the clubs along Bayou Lafourche. His marquee gig was opening shows for national acts like Ile and Tina Turner and Bobby “Blue” Bland at the Sugar Bowl in Thibodaux. Johnson moved back to New Orleans in 1965 and ran into Toussaint again. 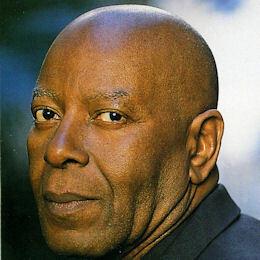 Johnson’s initial Toussaint-produced single – “Something To Remember You By” / “If You Leave Me” – appeared on Sansu and was distributed by Bell. Though it begged to break nationally, it stayed a local record, largely overlooked by the sudden explosion of British music in America. The follow-up, “I’m Grown” / “Baby Go Head,” was also distinctive, but it met a similar fate. The RCA single didn’t do much, and Johnson returned to Napoleonville, where he drove trucks and worked in a lumber yard to support his family. After his wife died and children grew up, Johnson moved back to New Orleans and worked for company that laid sewer lines. In the mid-1990s, Johnson re-encountered Toussaint and saw a revival of his music career. “At the time I used to go by Allen’s house to shoot pool,” Johnson said. “I asked him what he thought of me cutting a demo. He said, ‘Go ahead.’ He said, ‘Get the musicians and you can use the studio (Sea-Saint) anytime.’ I met some guys that played with Rockin’ Dopsie Jr., and we did four songs. The release set off a brief firestorm of activity, but Johnson eventually returned to driving a truck for a living. NYNO fizzled, and in 2000, Johnson moved to Atlanta to live with his daughter. His appearance at the 2010 Ponderosa Stomp this Saturday night will mark his first return to New Orleans in a decade. For even more on Wallace Johnson- see this excellent Home of the Groove post.